United Arrows & Sons is taking its talent to the Three Stripes once again with an upcoming collection that is centered around two adidas NMD silhouettes. 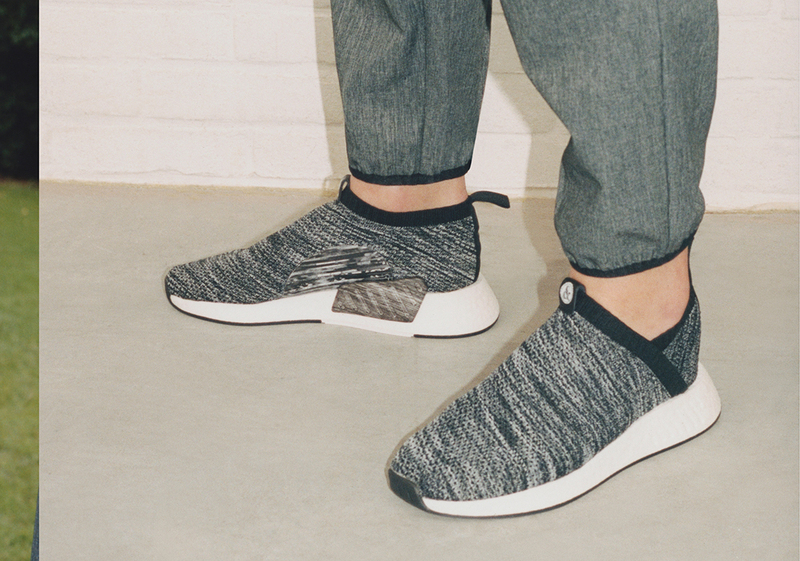 The Japanese retailer dresses up the NMD CS2 and the NMD R2 with its unique sartorial influences, taking the sportswear engineered models and adding an up-scale lifestyle aesthetic. Adorned in a rich marbled construction, the CS2 is adorned in white and navy with subtle touches of branding placed strategically where there would be a tongue if it weren’t for the sock-like ankle collar. Similarly, the R2 boasts branding on its tongue, and uses a light grey color scheme with a contrasting heel patch and laces. Most notably, the R2 features a concealed 3-Stripes mark which can only be revealed under the right light or in the presence of a flash. The collaborative capsule will be accompanied by a full range of apparel that includes a zip-up hooded sweatshirt, t-shirt, track top and track pant in an heather grey and navy color scheme as well as a range of other jackets and jerseys. Head over to your local adidas retailer or log onto adidas.com on January 20th when the United Arrows & Sons x adidas NMD collection becomes available.